Seattle Gay News, the third longest-running gay weekly in the country that features original music content 52 weeks a year, chose Adele's "Rolling in the Deep" as the Best Single and The Black Keys' El Camino as Best Album, as part of its "Best of Music 2011" spread on December 16. The "Best of Music 2011" special issue also included an exclusive interview with Young The Giant and picks for the year's best live performances, hottest artists and worst music. You can access this edition by going to http://www.sgn.org/ and clicking on the "December 16" archive. The top ten lists for Singles and Albums, in order, appear below. Dreaming of Hawaii? Dreaming of George Clooney? 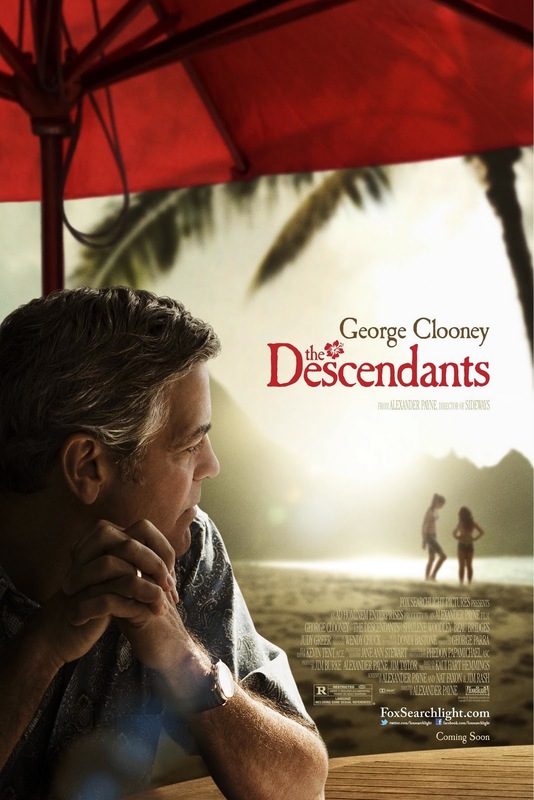 Both of them star in the Golden Globe and Screen Actors Guild-nominated film "The Descendants", now showing in theaters. Seattle Gay News is giving away a limited amount of free passes to any showing (Seattle area only) of the movie, during its theatrical run. All you have to do is enter in-person at Purr Cocktail Lounge (1518 11th Avenue) and look for "The Descendants" box at the front counter. Just put your business card in the box and you're entered. Contest runs through December 18. Winners will also receive a Hawaiian bracelet in addition to the pass. If the film, featuring a soundtrack of authentic Hawaiian music by Hawaiian artists, should inspire you to make a dash to the islands, visit http://www.gohawaii.com/ to start planning your trip. Seattle Gay News will reveal its picks for the "Best of Music 2011" in our new issue, out in print today and going online over the weekend. Our choices for the year's best albums, singles, live performances and hottest artists are included in this special feature. Our "Best of Music 2011" spread also includes an exclusive interview with Young The Giant, a Southern California rock band who performed on the MTV VMAs telecast in September and will embark on a headlining tour in the winter/spring of 2012 with some dates already sold out. The group's drummer Francois Comtois tells us where he'll be for New Year's Eve, what he wants for Christmas, how he sizes up the past twelve months, and his personal thoughts on gay marriage. Join us in celebrating the year that was in music, by picking up a copy or reading it online this weekend at http://www.sgn.org/. These are three words we'd use to describe Tori Amos. The eclectic music diva recently spoke to Seattle Gay News, her second time going one-on-one with us, and she had strong, meaningful words to say about gay marriage, bullying, national politics, and her long connection with gay male fans. Our interview with Amos prints in the December 9 issue, available tomorrow in print throughout metro Seattle and online at http://www.sgn.org/ this weekend. Amos performs live at the Moore Theatre on Wednesday, December 14. We had them, twice. And by "had" we mean interviewed. Death Cab for Cutie, the multiple Grammy-nominated Seattle band, has interviewed with Seattle Gay News for a second time. Six years ago, Nick Harmer (bassist) and Chris Walla (guitarist) exclusively spoke with us for our "Best of Music 2005" spread. This time around, we snagged drummer Jason McGerr for a one-on-one. Residing now in his original hometown, in nearby Bellingham, McGerr discussed several items with Seattle Gay News, including DCFC's newest album, Codes and Keys, the band's current tour, Hall and Oates, Tegan and Sara, and gay marriage. Look for McGerr's interview in tomorrow's print edition of the Seattle Gay News (October 21 issue), which goes online the next day at www.sgn.org. Death Cab for Cutie performs Saturday, October 22 in front of a hometown crowd at Key Arena. Holy, alligator shirts! The 80s are back. One of that decade's biggest hitsmakers, OMD (Orchestral Manoeuvres in the Dark) is featured this week in the Seattle Gay News. The band, who rose to fame by penning the song "If You Leave" for the teen classic Pretty in Pink, has reunited for both an album (History of Modern) and tour with its original lineup - Andy McCluskey, Paul Humphreys, Malcolm Holmes, Martin Cooper. Humphreys spoke to Seattle Gay News by phone shortly before the start of OMD's tour outing, sharing details about the tour and about writing that nostalgic hit single. Pick up a copy of the SGN within metro Seattle this week or go online at http://sgn.org/ to read our interview with OMD. 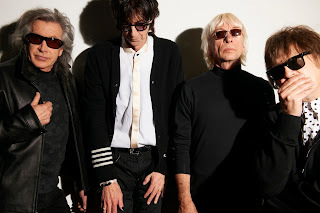 And, catch the group live at The Showbox SoDo (http://showboxonline.com) on September 29. Not sure whether to vacation in the Caribbean or Hawaii on your next tropical getaway? Try a little of both. Seattle Gay News explores the blistering temperatures, local scenery, regional delicacies and unique culture of two hotspots - Punta Cana, Dominican Republic and Oahu, Hawaii - in our newest special travel section, part of our September 23 weekly issue. In Punta Cana, a two-hour flight from Miami, we savor the crystal blue beaches and magnificent all-inclusive Barcelo Bavaro Palace Deluxe resort (http://www.barcelo.com/BarceloHotels/en-GB/Hotels/DominicanRepublic/PuntaCana/BavaroPalaceDeluxe/Home) in this coastal area, and go daytripping to nearby Sanoa Island, Higuey and the artist village of Altos de Chavon. On Oahu, the most populous island of Hawaii and only five-to-six hours from the West Coast, we check out the North Shore's Turtle Bay Resort (http://www.turtlebayresort.com) - where the movie Forgetting Sarah Marshall and TV show Cougar Town were filmed - and we then venture to another part of the island for a stay at The Kahala Hotel & Resort (http://www.kahalaresort.com). Baltimore, an hour by train from Washington DC and forty minutes by plane from New York City, delightfully surprised us with its big city-small town feel, visitor-friendly public transportation, hip neighborhoods like Mt. Vernon and Federal Hill, and its rather interesting (yet oddly cool) American Visionary Art Museum (http://www.avam.org). You'll find travel articles on Punta Cana, Oahu, Baltimore, plus Ottawa, Puerto Villarta and Minneapolis in the September 23 issue of Seattle Gay News, available throughout Metro Seattle this week in print and online at http://sgn.org/ . From us to you, safe travels wherever you're off to next! Seattle Gay News joins the local music community and Nirvana fans around the world in celebrating the 20-year anniversary of the band's groundbreaking album, Nevermind. 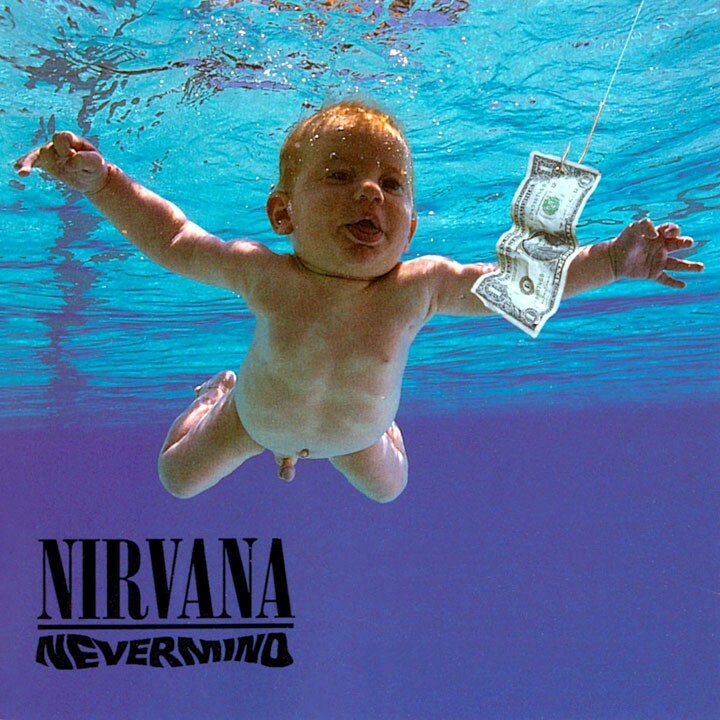 The album, released on September 24, 1991, would prove to be a pivotal recording in rock music and would soon create superstars in the form of Kurt Cobain, Dave Grohl and Krist Novoselic. Songs like "Smells Like Teen Spirit", "Come As You Are" and "Lithium" became instant classics and are still listened to regularly to this day. 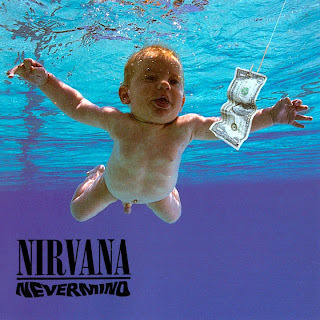 When I lived in Europe some time ago, the thing most people connected to Seattle was "Nirvana" and often people would tell me how many times they listened to Nevermind. I remember going into a bar in Paris' 5th arr. and the bartender asked where I was from, and when I said "Seattle" he immediately played "Smells Like Teen Spirit" on the pub's stereo system. It has been an amazing 20 years telling people I come from the same city as Nirvana. Margaritas and bears? One bear, actually. A big one. Minus the Bear. Seattle indie rock band Minus the Bear is set to appear at Little Water Cantina (http://littlewatercantina.com/), in the Eastlake district of their home city, on Tuesday, September 13 to help kick off the restaurant's extended hours and latest 'happy hour' additions. The event, co-sponsored by 103.7 The Mountain radio station and Mt. Gay Rum, is open to the public and seating is based on availability. The party runs from 6:30-8:30pm. 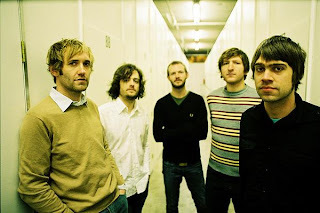 Minus the Bear, who recently performed at the Bumbershoot Music and Arts Festival, released an album last year entitled Omni that includes their latest single, "Hold Me Down". The music video for the song can be viewed here: http://www.youtube.com/watch?v=sG5n4swskec&ob=av2e. The group - Jake Snyder, Dave Knudson, Alex Rose, Cory Murchy, Erin Tate - will play at the HFStival in Columbia, Maryland on September 17 and will then embark on a month-long tour across the United States. Aside from the special performance by Minus the Bear, Little Water Cantina will offer carnitas tacos and cocktail deals, including Mt. Gay mai tais and daiquiris. Little Water Cantina is located at 2865 Eastlake Ave. East. America's favorite geeky rock band has spoken. To us. Seattle Gay News is pleased to announce an interview with Grammy-winning act Weezer. The Southern California-based group is responsible for some of the coolest, quirkiest singles of the past two decades, including "Buddy Holly", "Hash Pipe", "Pork and Beans", "Undone (The Sweater Song)", and "Beverly Hills". 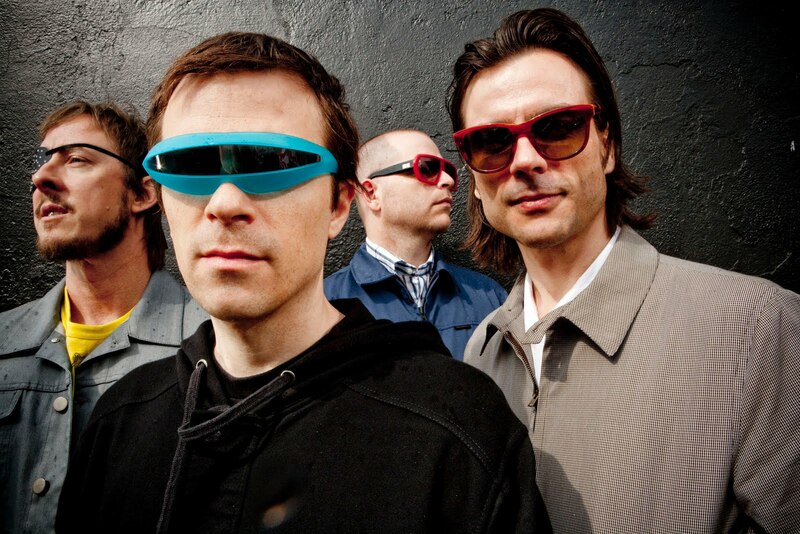 Weezer - Rivers Cuomo, Brian Bell, Scott Shriner, Pat Wilson - will deliver their "Memories Tour" to Seattle fans tomorrow night, August 19 at WaMu Theater. They'll play the band's first two albums in their entirety back-to-back, and will include a retrospective of their almost 20-year career. The quartet's drummer Pat Wilson phoned Seattle Gay News this week to discuss a few items, such as the tour and his thoughts on whether gay marriage will ever be legal in his home state of California. Look for the interview in tomorrow's (August 19) print edition of the Seattle Gay News, or online this weekend at www.sgn.org. For tickets to the WaMu Theater performance, visit www.wamutheater.com. Say hello to Seattle's newest gay kid in town. And this kid is not on Capitol Hill. OutWest Bar, located in the tranquil district of West Seattle, just opened its doors to the public on August 11. They've unpacked the boxes, but the move-in process continues - parcel paper lines the windows until replacement drapes are put up next week and rainbow banners are the closest thing to storefront signage, for now. This hasn't bothered the flow of customers to OutWest Bar on either of its first nights of business. Co-owner Bob Lunke stated that Friday's crowd stayed right up through the 2am bell, and already passersby are peeking inside during a leisurely stroll and inquiring about the hours of operation. Decor is simple. Black tables with chairs and bench seating, dark cranberry walls, and long copper-toned bar counter with stools comprise the interior, but soon TV sets will arrive for patrons to watch local events, such as Seattle Storm or FC Sounders games, or even a guilty pleasure - Project Runway, anyone? The reaction from nearby straight business owners has been "awesome", says Lunke. Indeed, bouquets of flowers from a few of them, like the Feedback Lounge, are representative of the West Seattle neighborhood's warm and friendly vibe. OutWest Bar is co-owned by Lunke and business partner Chad Gabelein, and is located at 5401 California Avenue, accessible by public transportation (Metro buses #54 and #22, California and Brandon SW stop). It's also within walking distance of California Avenue stores, cafes and cupcake shops. Current hours are 4pm to midnight (Sun-Thurs) and 4pm to 2am (Fri-Sat). The "grand opening" is planned for next weekend, August 19 and 20. Oh, my Stevie! Insert: repeated bows. Seattle Gay News is pleased to feature an upcoming interview with a true rock goddess, the mother of all shawls, the one and only Stevie Nicks. As frontwoman for pop-rock supergroup Fleetwood Mac and accomplished solo artist, Nicks' treasure chest of classic songs includes "Dreams", "Sara", "Gypsy", "Stand Back", "Edge of Seventeen", "If Anyone Falls", "Rooms on Fire", "Rhiannon", "The Chain", and "Silver Springs". You might also remember "Landslide", covered by the Dixie Chicks and cast of Glee. Nicks recently spoke with six hand-picked writers from GLBT publications across the United States, including Seattle Gay News, and answered questions pertaining to her Gay fan base, reaction to Glee episodes featuring her music, and her personal like or dislike of current pop divas Katy Perry, Lady GaGa, and Pink. We're proud to include our interview with Stevie Nicks in tomorrow's special Pride Music issue, landing on bar counters and coffeeshop tables in the mid to late afternoon here in the Seattle area, and uploaded to our website (www.sgn.org) over the weekend for those readers outside King County. Summertime is the perfect time to hit the road, or the blue skies. Or, maybe just plan ahead for an upcoming vacation. Seattle Gay News spotlights the fascinating destination of Thailand in its Summer Travel issue, printing in the June 17 edition. From an elephant camp deep in the jungle to "ladyboy" bars tucked away into crowded Bangkok streets, experience the true diversity of this kingdom by grabbing a copy of the SGN tomorrow. Also in our special travel section, original features on New Orleans, Las Vegas, Niagara Falls, Portland (Oregon), Bellevue, and Seattle's own Hyatt at Olive 8 hotel. We wish you great travels! 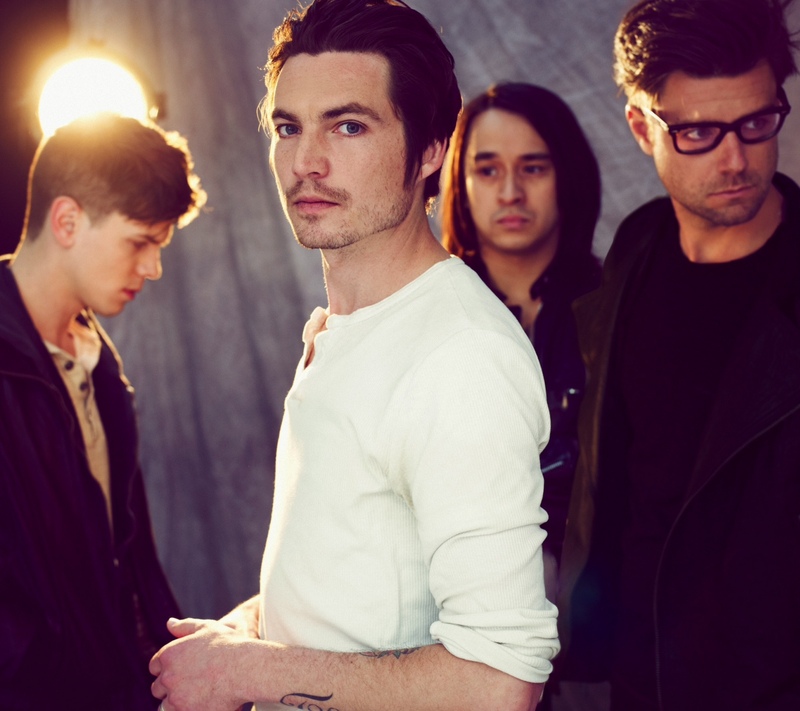 If you've never heard of Augustana, allow us the introduction. The four-person band garnered attention for their 2005 album All the Stars and Boulevards, which produced two hit singles "Boston" and the title track. Currently, the SoCal-based act is on the road promoting its latest release, this year's self-titled effort. Lead singer and daddy-of-two Dan Layus spoke to Seattle Gay News from the road recently and offered his thoughts on living in mega gay West Hollywood and that new Katy Perry song, "E.T.". Read the interview with Layus in the newest issue of Seattle Gay News, out today and online this weekend. Augustana performs live tomorrow night at The Showbox Market with The Maine (who interviewed with the SGN a year ago) - visit www.showboxonline.com for ticket information. Seattle Gay News will be among the 70,000 people converging at Qwest Field tomorrow night for U2's mega concert. But we were allowed into the stadium earlier today to get a glimpse of the stage and equipment before the show actually begins. - The band (Bono, The Edge, Adam Clayton, Larry Mullen, Jr.) will probably arrive in Seattle tonight. - The stage and all of the equipment can take about 4 days to set up, and most of it was already constructed by early this afternoon. - 575 speakers are built into four claw-like legs that stretch out from the stage. The stage is 68 meters in length from side-to-side. - U2 will likely play a 2 to 2.2 hour set tomorrow night. Lenny Kravitz opens the concert. - All gates at Qwest Field open at 5pm tomorrow. The show is supposed to start at 7pm, but like most concerts a delay is always possible. - According to Jake Berry, Production Designer for the tour, it takes more than 100 trucks and roughly 12 tour buses to transport the equipment and crew from city to city for this mammoth tour. - According to Craig Evans, U2's tour director, about 7 million fans will have attended the 110 concerts on this tour, which began in 2009 and ends next month. The Seattle show is #93 of 110. - The photo shown on this blog entry was taken by Seattle Gay News at Qwest Field this afternoon. - As of 2pm today, some tickets were still available at the Qwest Field box office. Among the world's very best DJs is Paul van Dyk, ranked #6 in 2010 by DJ Magazine on a list that included fellow marquee turntablists Tiesto and Deadmau5. 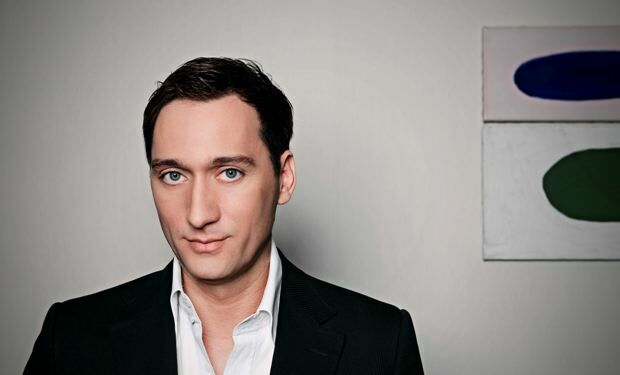 The striking German, one of the first electronic artists to ever nab a Grammy nomination in his genre, has performed on some of the biggest stages - from Coachella to the Ultra Music Festival. His current "Evolution Tour" returns him to Seattle on June 10, where he'll play a headlining set at WaMu Theater. But before he flips open his laptop, he's talking to Seattle Gay News. The Berlin-based star is featured in a one-on-one interview in the next edition, June 3, where he voices his thoughts on Lady GaGa, hip-hop, and gay marriage. Last night was monumental. It was the national tour launch of The Cars, one of the most influential pop-rock bands in history, at The Showbox SoDo in Seattle. The group, reunited after a 24-year breakup with 4 of its 5 original members - the fifth, Benjamin Orr, died of cancer in 2000 - played to a venue packed with enthusiastic, cheering fans. The Cars opened the concert with "Good Times Roll" and closed with "Just What I Needed", and to find out what else they played and how good they were (or not) read our review of the show in Friday's issue of the Seattle Gay News. A review of another sold out performance, The Kills, will also appear in our May 13 edition. It turns out the "Queen of Mean" isn't so mean. 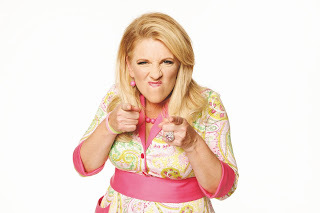 Lisa Lampanelli, one of the nation's top comedians, was actually very sweet when she phoned the Seattle Gay News offices recently - on the same day she was having household maintenance issues at her New York home. The performer's latest one-hour special, Tough Love, premiered on the Comedy Central channel last weekend. Check the station's listings for repeat showings. Jokes aside, Lampanelli is a strong ally of the GLBT community, voicing her thoughts on gay marriage and bullying in the interview. Read it in our April 1 issue at http://sgn.org/. Besides those addictive mystery-thriller novels by Steig Larsson, the coolest thing to come from Sweden right now is The Sounds. The rock-electro band, who've toured with The Strokes and No Doubt, just released their newest album, Something to Die For this week featuring the lead-off single "Better Off Dead". Band member Felix Rodriguez phoned Seattle Gay News recently to talk about the new CD, plans for an upcoming tour and reveals what interesting souvenirs he enjoys taking back to Sweden from the group's road trips. The Sounds interview appears in the April 1 issue of Seattle Gay News, available now on newsstands and online this weekend. Got all the Oscar contenders crossed off your must-see list? Then, hit the beach. Not literally, but catch glimpses of it in the new comedy Just Go With It, starring go-to funny guy Adam Sandler and Jennifer Aniston. Partially set on the islands of Maui and Kauai, the film centers on a single plastic surgeon (Sandler) going after a young schoolteacher (Brooklyn Decker), though he's invented a lie of being married to his colleague (Aniston) and can't seem to find a way to admit the truth. Seattle Gay News will be giving away free passes to an advance screening of Just Go With It tomorrow, February 6, at Purr Cocktail Lounge (1518 11th Avenue) beginning at 10am - the start of Sunday Brunch. Visit www.purrseattle.com to view their brunch menu. Tomorrow is also SuperBowl Sunday, so stay if you want and watch the big game on Purr's multiple flatscreen TVs. Just Go With It free passes tomorrow at Purr, starting at 10am! The movie opens nationwide on February 11. Pop star Katy Perry has included Seattle on her North American tour this summer, scheduled to perform at Key Arena on July 20. Tickets go on sale at all Ticketmaster outlets on January 29. Perry is also slated to appear on the Grammy Awards telecast next month. Seattle Gay News looks forward to bringing you coverage of Katy Perry's tour stop in Seattle.